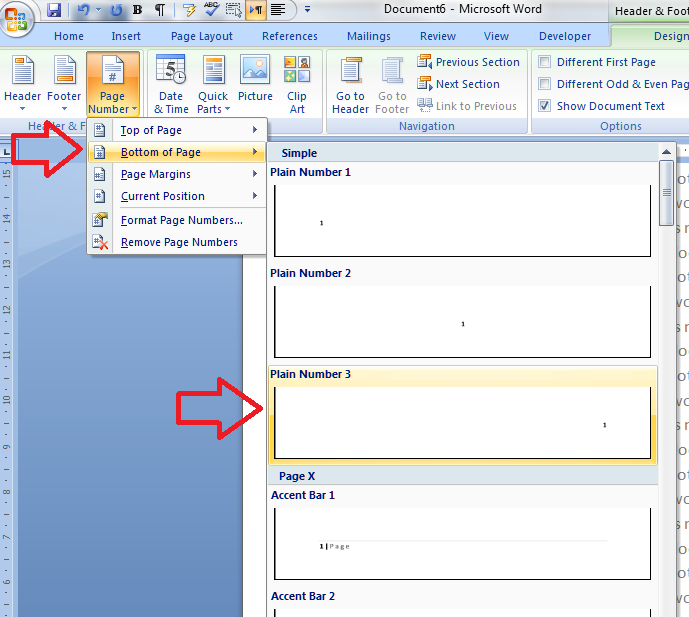 This article is going to teach you the basics of adding page numbers to a Word document, using Word 2007 or Word 2010. Later articles in the series will tackle more complicated topics such as mixing Roman and Arabic numerals and making sure your first page doesn’t have a number if you don’t want it to. 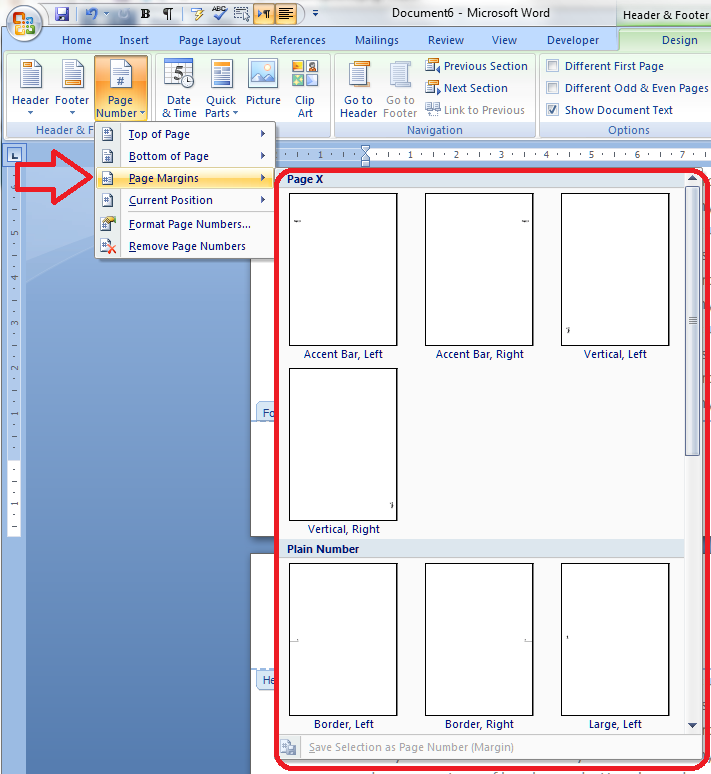 Why add page numbers to a Word document? Good question? 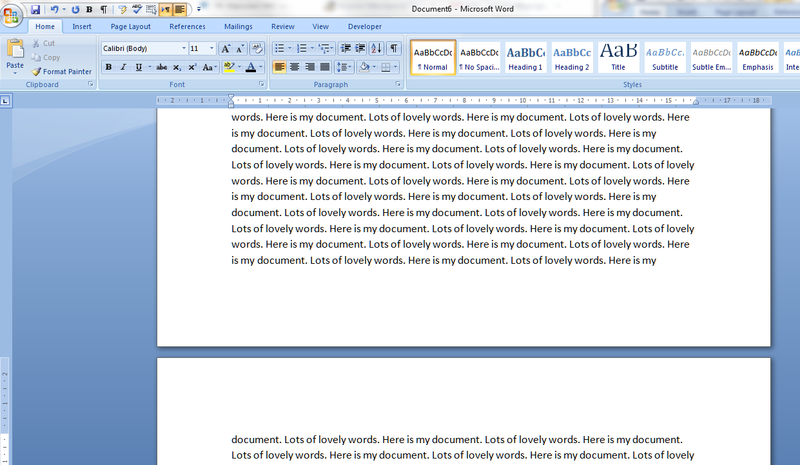 You might have a perfectly nice, short document, that looks a bit like this ..
And you don’t really need to add page numbers. But what if it’s going to be a book, or you’re going to introduce a contents page or index? 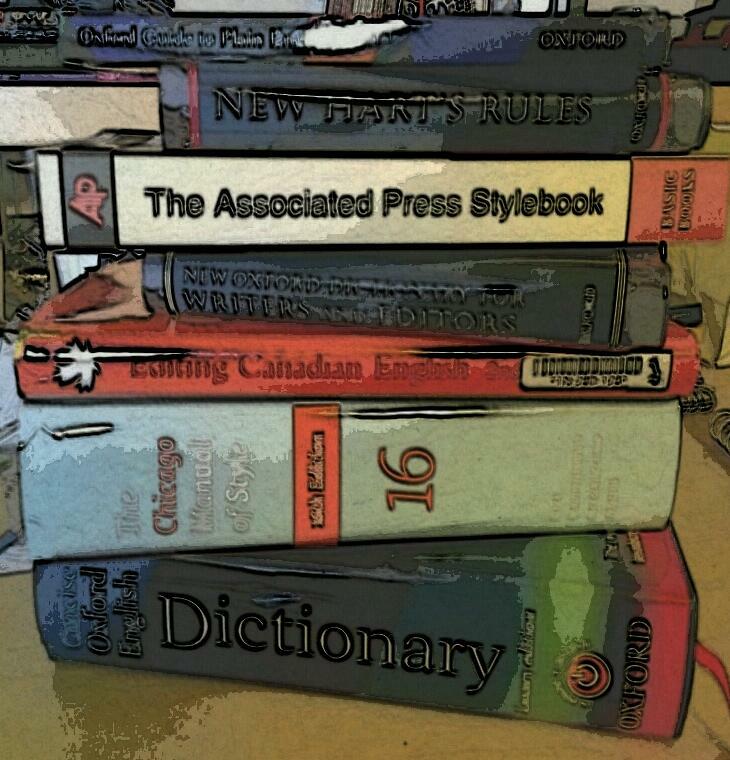 What if people are going to want to quote from it, or refer back to a particular section? Even though if they read your document on their Kindle, they might not be able to see the page numbers, these are all good reasons why you might want to give your readers some page numbers to help them navigate their way through your text. Where are the menus and buttons for adding page numbers? 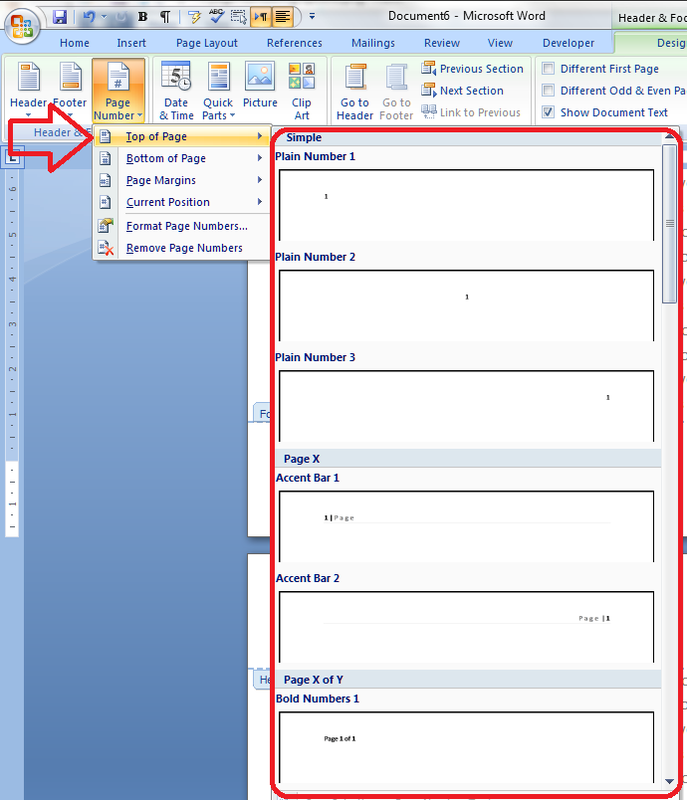 As usual, there are a couple of ways to access the menus and buttons you need for adding page numbers. But, again, as usual, they lead to the same place in the end. 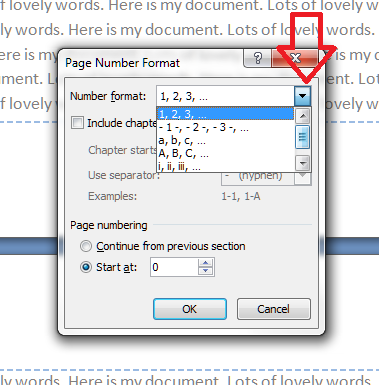 In Word 2003, you can find the page numbers options in the Header and Footer menu. We’ll look at how to position your page numbers, and then how to format them (it’s best to do it this order). How do I choose the position of my page numbers? You can see lots of options for positioning your page numbers, including that fancy “Page 3 of 12” you’ve seen on other people’s documents. To select the position, click on the example that suits you best (you can scroll down for even more choices). Again, you can scroll down for even more options. I find that people have one or two favoured number positions and ignore the others (in much the same way that we only use two programmes on our washing machines). But it’s useful to know how to find all those extra places, in case you’re working collaboratively or with a client who has particular preferences. 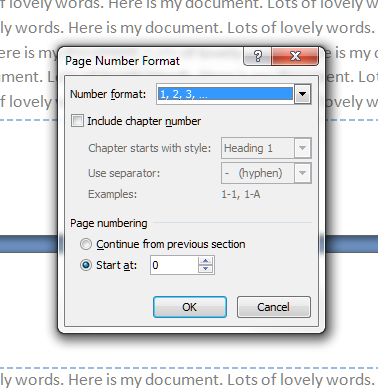 Now we’ll look at some basics of formatting your page numbers. How do I format my page numbers? 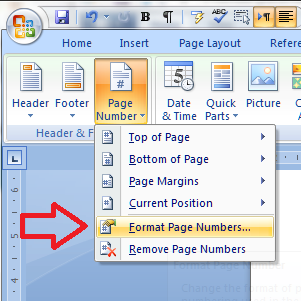 This is best done once you’ve decided on the page number position, and you can come back and format them at any time, by finding and clicking on the Page Numbers button. We’re just going to look at the basics here, with more complex choices being discussed next time. Again, Chapter numbering and Continue from previous section / Start at are mainly used when you’re applying different numbering styles to different parts of your document (Roman numerals for the contents page and foreword, Arabic for the main text, etc.) but it’s worth knowing where to find these choices for next time. So, let’s summarise and look at how to apply standard, straightforward page numbering to a document. How do I apply standard page numbering to my document? If you just want simple numbers in Arabic numerals at, say, the bottom right hand corner of each page, here’s how you do it. How do I insert different types of page number into one document? 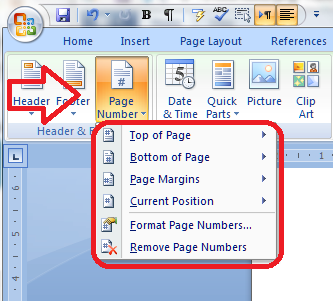 In this article we’ve learned how to find the Page Numbers button and how to position the page numbers on the page and format them into different kinds of number. 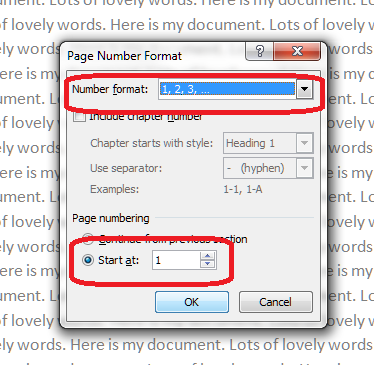 In Part 2 of this series, we look at adding different kinds of page number to different parts of the document, and more complicated formats for page numbers. Welcome to a fab new Saturday Business Chat! Today I’m thrilled to feature my old friend, Paul Alborough, aka Professor Elemental, a rapper – but wait – in the Brit hop tradition, all Steampunk and Englishness and marvellousness. Back in the day, we used to commute up to Barnet together. I’d be reading the latest tome from my TBR, and Paul would be scribbling lyrics on an A4 pad. One of the most memorable features of my time at that company was the off-the-cuff rap Paul did for me at my leaving tea. Since then, he’s devoted considerable time and effort to building his music career, and is now doing Professor Elemental stuff full time – well done, Paul! Let’s find out how he did it. And you HAVE to look at his videos. Remember Tone and his model dinosaurs? This stuff is just as cool. Don’t I know some excellent people! Professor Elemental is the name of the business and the character that I perform as. 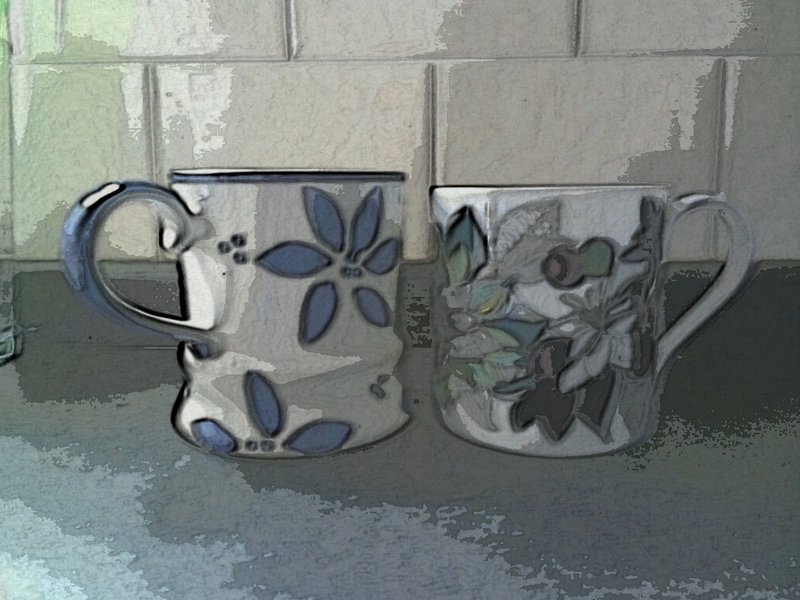 I have been working full time as the good Professor since January 2012. I was quite happy just rapping as a hobby to supplement my day job, then was lucky enough to enjoy a bit of success with it. As the amount of work as an emcee grew, so did my day job career (as a teacher), and I was forced to choose between the two. Inevitably, being a mad professor was more interesting than being a regular teacher. It was only as I got more into doing shows and realised that it was a possible way to make money out of rapping without being signed. I’ve always loved emceeing in it’s many different forms. Nope. I have done a lot of rap workshops, but never as a full-time business. I ran the two parallel careers for about a year. This was a very stressful in itself, but did allow me to keep the risks to a minimum when I finally made the jump into ful- time creativity. It feels a lot nicer risking everything when you have a bit of safety net either financially or in terms of other work. I am still pretty new I suppose- but I am definitely learning that people value you more if you value yourself. Both creatively and financially. Got started earlier and not been so pessimistic about my chances of doing this for a profession. I might have saved myself a few years of life wasted in call centres. Working with other people. Working for yourself doesn’t mean that you have to shoulder it alone and having a good accountant, amazing booking agent and brilliant folk to collaborate with makes the whole process more fun. Acheiving your dreams is entirely possible. Particularly if your dreams are relatively modest. Oh, and be nice to people at every level of your business. That really can’t be overstated. I have diversified as much as possible. I’m trying to say yes to as many good things as possible and it’s leading to some brilliant, unexpected places. So far there’s been a comic, a web series and some most unexpected gigs. I’m thoroughly enjoying the freedom to take the professor character into some new and exciting places. There are a few things in the pipeline that might change my life completely. And if not, if things carry on just as they are, then I will be very happy indeed. Yes, unless it has all gone wrong and I am destitute , living underneath Brighton pier. In which case another interview might be too depressing. Somehow, I don’t think that will be the case! But isn’t it interesting that in the world of rap and the world of editing, we still like to do things carefully, have backup and do things nicely! Good luck to Paul / the Professor and his modest ambitions! The Professor Elemental website can be found at www.professorelemental.com and I recommend taking a look at his rather marvellous YouTube videos. He’s on Facebook, and of course you can get in touch via email. Pacific means peaceful in either intent or character (or both), or related to the Pacific Ocean. Specific, which I would like to hazard a guess is 99.9% of the time the word the user means to use, means precise, clear, clearly defined – so “would you like your new mattress delivered on a specific date or don’t you mind when it arrives?” and is also used in relation to a particular subject – “These tufts are specific to this particular kind of mattress”.